Most of our homes are fitted with cooling systems to counter weather fluctuations but these heating and cooling processes normally drain more energy than most other home systems. This translates to inflated utility bills. 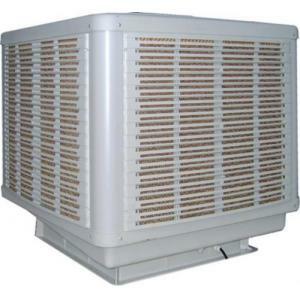 Even though heat pumps are seen as cheaper cooling systems, evaporative coolers remain the most widely used. For the benefit of doubt, these units perform pretty well when atmospheric humidity is low. The box-shaped appliances are designed to draw hot air in the house and release cool air. This takes place through a complex process where water is absorbed and stored in a pan within the cooler before a small water pump lifts it up to dampen the pads facilitating evaporation hence the cooling effect. Since only a small amount of amount of water is required at each pad, the pump may need to be adjusted from time to maintain the cooler’s effectiveness. Similarly critical, is the air flow. Evaporative coolers require proper air balance to effectively control the climate in a home and that means limiting humidity by balancing the air coming in and moving out of the home. The air flow can be balanced by installing ducts in every room or by keeping the windows opened when the cooler is on. The windows need to be opened just right so that the air pressure within the room closes the room’s door slowly and quietly. An evaporative cooler also needs to be the right size for every particular home and that is determined by the amount of air it can pump per minute. This information is usually found on the owner’s manual or sometimes indicated on the cooler itself. Multiplying the square footage of the home by the height of the ceiling (in feet) and dividing it by two will also give the same information. Ultimately the cooler’s efficiency can also be improved by fitting it with a thermostat which automatically turns it off when the air temperature is desirable. Coolers that don’t have a thermostat normally feature designated switches for the pump and fan. For such a unit, you need to let the pump run for a few minute prior to turning on the fan as this allows better pad saturation. You however need to keep in mind that when replacing delicate parts like the water pump which is the core element of the cooler, you may need to consult experts. Otherwise, you can to buy the exact small water pump from a trusted source.